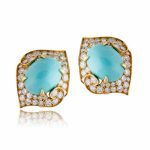 A stunning pair of Victorian style earrings, set in a silver-on-gold mounting. 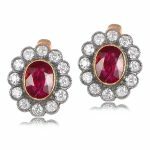 The antique rose-cut diamonds were cut over 100 years ago, and are approximately 4.99-carat, I color and VS1 clarity. The diamonds surrounding the center are antique old mine cut diamonds. 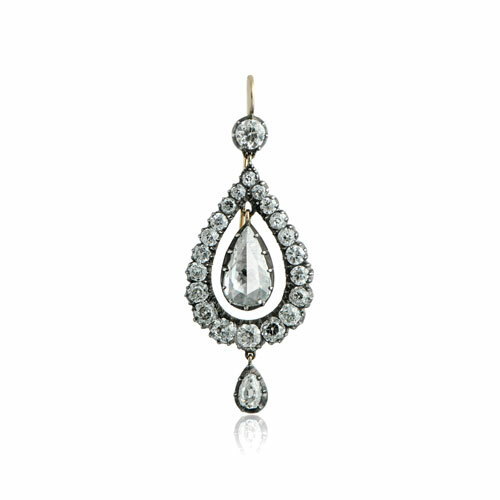 The diamonds at the bottom of the pair of earrings are pear-shaped old mine cuts. These earrings are approximately 5-centimeters long. 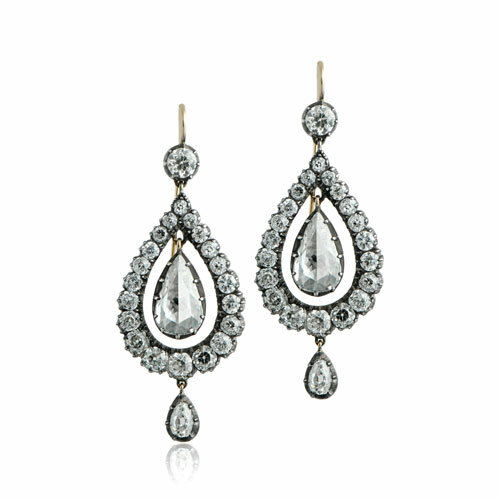 Each earring has twenty-two old mine diamonds and one rose cut diamond. The diamonds were cut circa 1890. SKU: 10609 Category: Vintage Earrings - Contact us and request additional pictures.